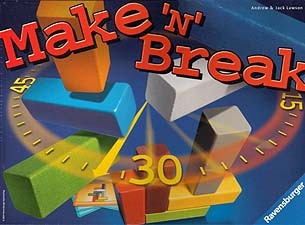 Make'n' Break is an exciting challenge for builders of all ages. You'll need a good eye and dexterous fingers, as you race to create as many wacky structures as you can in the time allowed. But watch out; some of the structures are very tricky to build and you're time is almost out!